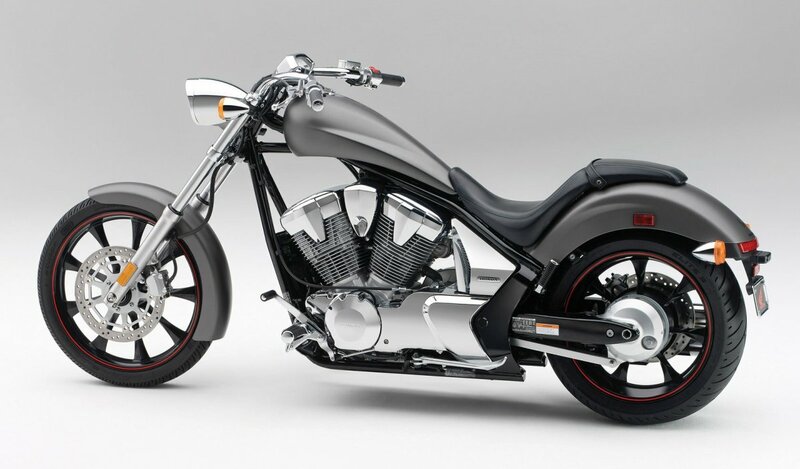 There is an arms race going on right now in the motorcycle industry. Manufacturers are realizing that the over 40 crowd, including yours truly, are not going to be around forever and that it is time to cater toward the younger crowd just getting into the sport. 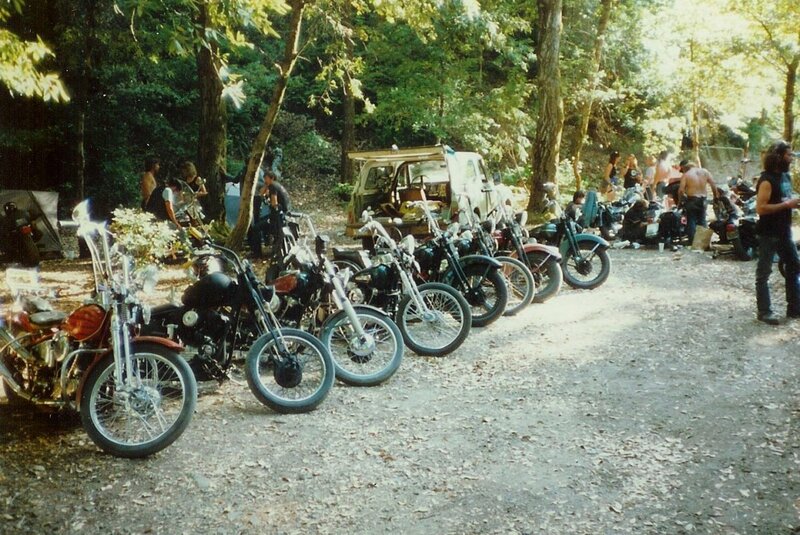 Unfortunately, most of the younger crowd, due to college debt or lower initial earnings, does not have the disposable income and cannot afford the 10 thousand dollar entry fee, which was the price of a new entry level motorcycle a few years ago, to get into the sport. That is where the entry level CB300F and other small engine displacement (under 600cc) motorcycle comes in. The CB300F is a full street legal motorcycle with a base price of $3,999 US Dollars! Sure you can argue that you could pick up a used older motorcycle for less than $1,000, but it is hard enough to learn how to shift gears, balance, and lean into corners on a fully functional motorcycle less learn on an aged one with carburetor and clutch problems. This is personal experience talking as I learned how to ride on a 1979 XS650 in the early 1990s with the mentioned problems. Ride your Honda motorcycle while wearing the Honda Big Wing T-Shirt! 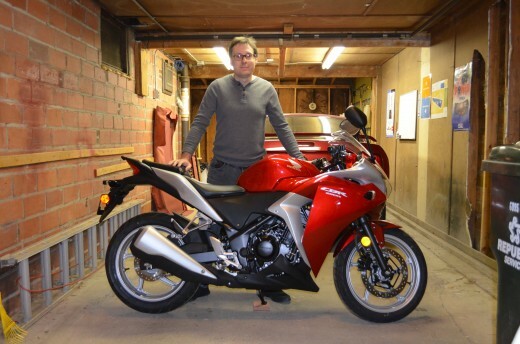 Selfie of me standing by my new 2012 Honda CBR250R! I have been riding motorcycles for over 15 years. As a new rider it was pounded into my head by other motorcycle enthusiasts that "Anything less than 600cc is a waste", meaning if the motorcycle had an engine with a displacement of less than 600cc then it was not worth riding. I have owned everything from a 1978 Goldwing (1000cc) to a 1998 Honda CBR (600cc) and let me tell you. My CBR250R with its 249.5cc engine has given me as much if not more enjoyment than the other larger displacement motorcycles I owned. I am sure the CB300F, with its 50cc more engine displacement, will give you just a little more top end needed for highway riding! Great Motorcycle Leather Jacket with Armor on Amazon! Great Motorcycle Jacket with built in Armor! Wifey got this for me last Christmas and I wear it on all rides. The CBR300R and the CB300F are new for 2015 in the US market. 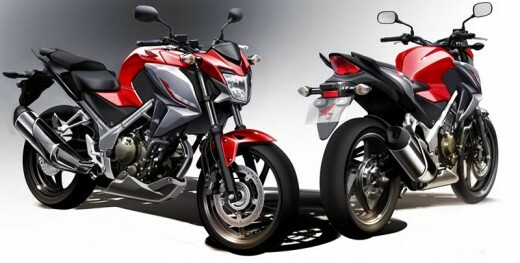 - The CB300F is a naked "Street Fighter", while the CBR300R is a full fairing sport bike. - Both share the same frame, wheels, brakes, tires and suspension. - Both share the same fuel injected, four valve, DOHC, 286cc, liquid cooled, four stroke, single cylinder, engine. - The naked CB300F is 9 pounds lighter than the CBR300R due to the fairing. - The CB300F is $400 cheaper than the CBR300R. 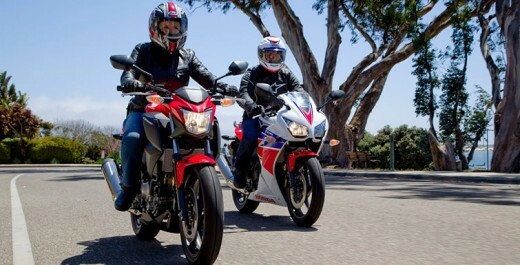 - The CB300F has a more neutral "standard" riding position while you are in sport rider stance on the CBR300R. In my opinion, unless you crave the look of a full fairing sport bike, the CB300F is where the smart money is as you get most of the benefits of the CBR300R while saving $400 dollars! Motogear makes the perfect motorcycle dust cover! Keep your motorcycles dirt and dust free while not in use! I use these dust covers to keep my 2012 CBR250R and 2014 Grom looking good! 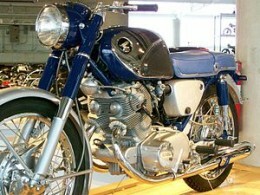 Picture of the 1961 Honda CB77, also known as the SuperHawk. 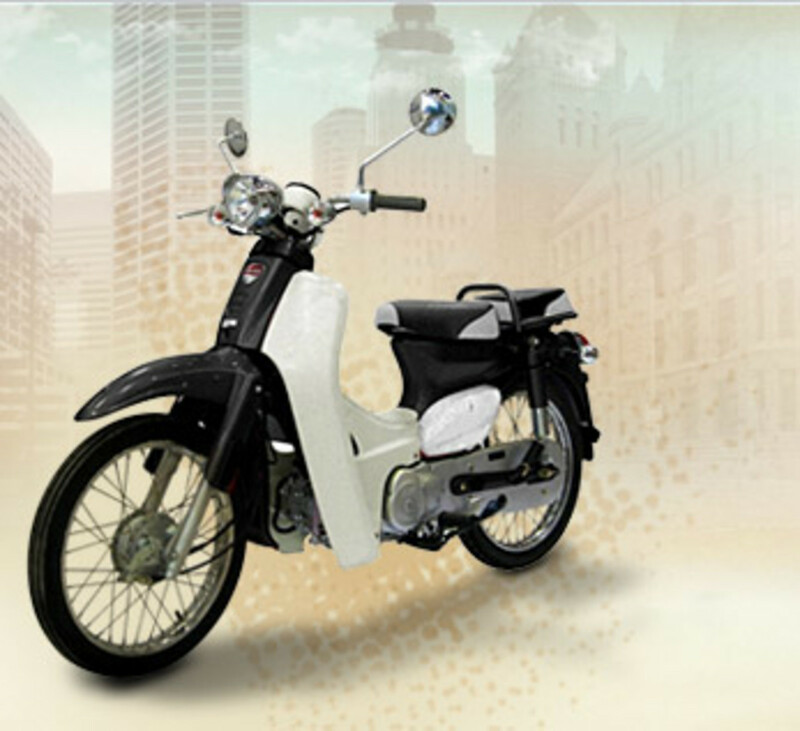 This is the first motorcycle of the CB series! The CB series is one of Honda’s longest and most successful line of motorcycles. All CB series motorcycles of the past have sported an inline engine of two or more cylinders. The CB300F kinda breaks the mold as it only has a single cylinder. I took my motorcycle drivers test on a 1979 CB650. It was a stable and reliable motorcycle to learn on and is why I prefer Honda motorcycles even now. Give your boring motorcycle wheels some flair! Great product, I have applied this detailing tape to the wheels of my 2014 Honda Grom! Honda Promo Picture of the then new CBR250R! The 2015 CB300F builds on what was accomplished with the 2011 CBR250R. Honda launched the CBR250R to directly complete against the best selling entry level bike for about a decade, the Kawasaki Ninja 250. The Ninja 250 platform was getting old with styling from the 1990s and it still used carburetors for fuel delivery. The newly retooled fuel injected CBR250R took the entry level motorcycle market by storm! Kawasaki upped the anti by introducing the all new Ninja 300 in 2013. The new fuel injected Ninja 300 trumped the CBR250R by roughly 50cc engine displacement and top end speed making it once again the leader of this market segment. Not backing down from a fight, Honda introduced two new entry level motorcycles for the 2015 year, the full fairing CBR300R and the naked CB300F. 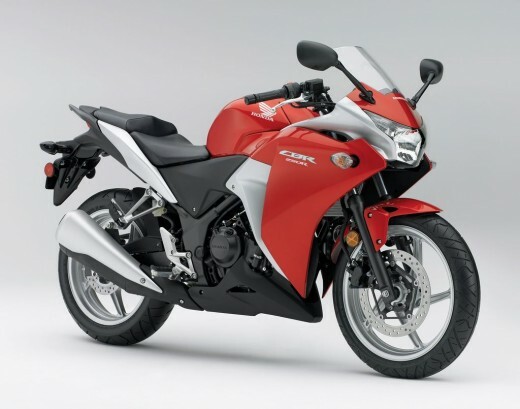 The CBR250R was launched in the US market in 2011. 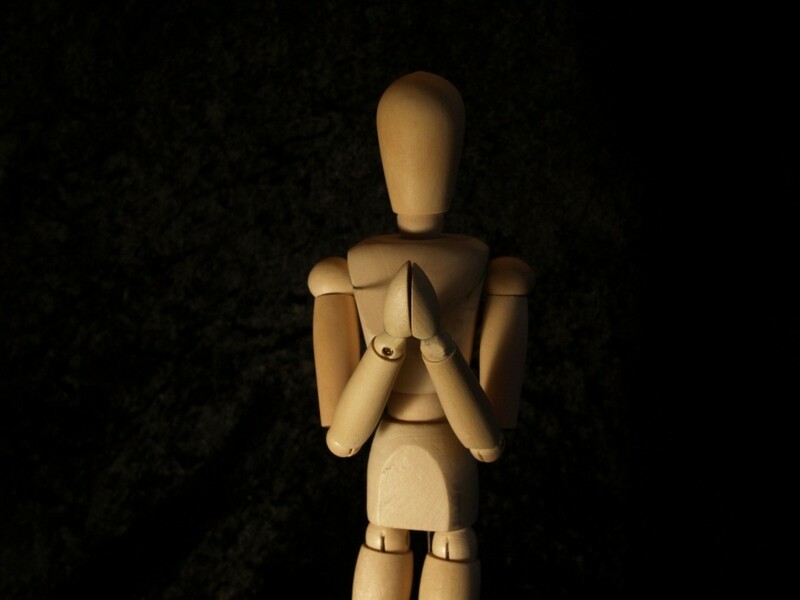 It was primarily intended for the Thai and Indian markets, but was then sold worldwide. The CBR250R was assembled in Thailand to keep the price point low. The CBR250R had a layered fairing styled after the VFR series of Honda motorcycles. The CBR250R and the CB300R share very little if any parts from the CBR250R. The CB300F gets a single cylinder, fuel ejected, DOHC, four stroke, liquid cooled engine like the CBR250R, except, that it is stroked to achieve the 286cc displacement versus the 249.5cc displacement of the CBR250R. Diving into the CB300F's Specifications. The CB300F is an entry level motorcycle sold by Honda Motorsports Division. Like the CBR250R it is manufactured in Thailand to rigid Honda specifications. 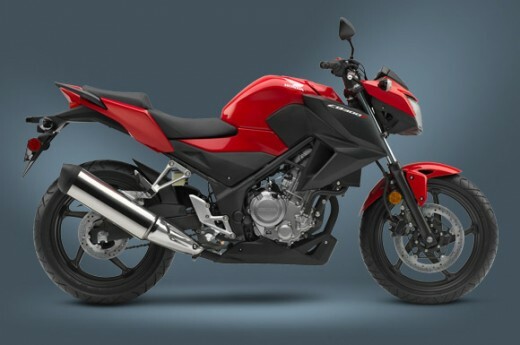 The CB300F sports full handlebar,instead of the clip-ons used on the CBR300R, and has a neutral standard upright riding position. The front wheel sports a 110/70-17 radial tire while the back wheel has a 140/70-17 radial tire. 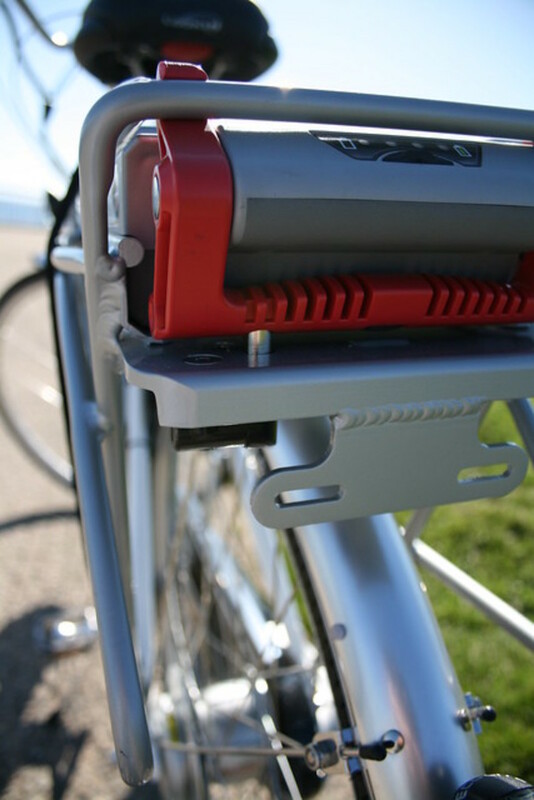 Stopping power is provided by a single 296mm disc in front and a single 220mm disc in back. The CB300F sports a fuel injected 286cc liquid-cooled, single-cylinder, four-stroke, engine capable of producing 26.2 horse power. While 26.2 horsepower is not earth shattering this it up from 22.5 horse power of the CBR250R and could propel you up to 90MPH on the open highway if the conditions are right! The engine employs a counterbalance to keep engine vibration to a minimum and it is coupled to a six speed transmission which lets you get the most out of it. What is great about the single cylinder engine is that it gives the bike very narrow dimensions making it easily to maneuver in city traffic and on twisty roads. The 30.7 seat height gives new riders confidence by allowing them to firmly plant their feet on the ground when stopped. The all new CB300F can be had in most US markets for a little as $3999. With good credit, Honda Financing should allow you to finance for $0 down with $85/month payments for five years. While the CB300F is billed as an entry level motorcycle, experience riders will find it fun as well. While I don't own a CB300F.....yet, I am an experience rider and own it's predecessor, the 2012 Honda CBR250R. It is my main motorcycle and I take it out just about every weekend, weather permitting. While I enjoy my CBR250R I can see where the added 4 horsepower of the CB300F would be nice! Cute Honda Promotional Video for the CB300F and the CBR300R! The CB300F won Motorcycle.com's 2014 Lightweight Naked Motorcycle Shootout! Great looking hub! I like how you broke up the text with the video at the bottom, the images, and the Amazon stuff. Well done.